Hotel Pearl Inn is located in the heart of the city. The hotel offers various facilities to its guests to ensure that they have a wonderful stay. 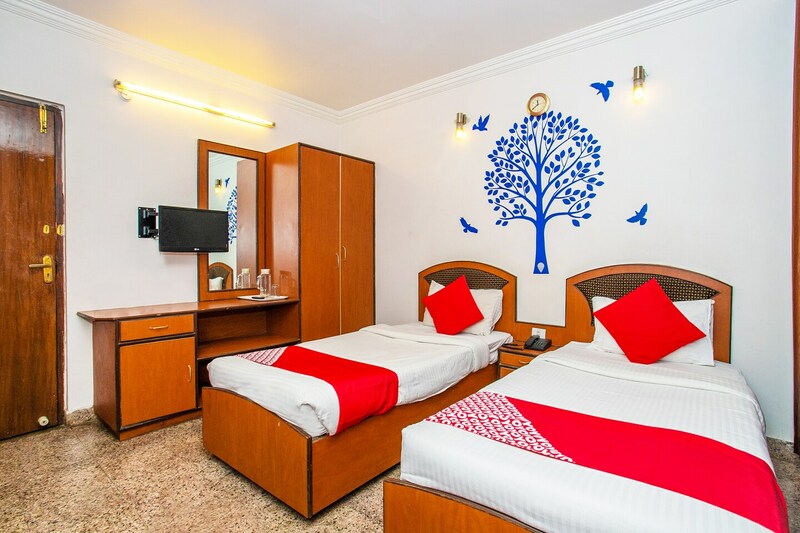 The rooms are vibrant and lively with polished wooden furniture. The rooms also have a chair and a table. The large curtains on one side of the room makes the room look colourful and the beautiful wall decals that mainly depict nature also add to the room's charm. The hotel has a seating area, parking facility, card payment options and also laundry facility ensuring that the guests have a pleasant stay.